Founded in 1995, Triad Drywall is an established and respected speciality contractor and leader in Georgia’s construction market. We have completed over 1000 projects across the commercial, manufacturing, and industrial fields. 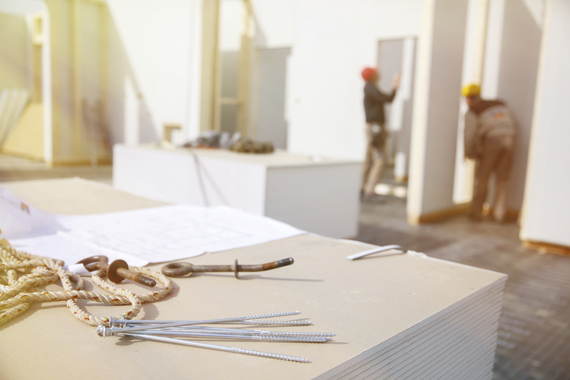 From new construction to remodels and renovations, from minor interior projects to inception and completion of large projects, we deliver on-time and on-budget performance. Through our extensive experience and commitment to quality workmanship, our clients gain peace of mind in their construction projects. Learn more about our services and Contact us to discuss your projects. Our vision is to build a high performance company culture that enables our employees to thrive in their work and deliver outstanding results. We will always respect the priorities of our clients, sustain our reputation as an exceptional drywall company, and contribute to the development of the construction market. We are a family-run business that focuses on strong values, responsibility, and quality. Our commitment to our family heritage and values helps distinguish us from the competition. Additionally, we realize that our reputation is only as good as our last project. That’s why we always give 100% and uphold our performance to the highest standards possible. To always deliver outstanding results that are on-time and on-budget. © 2016 Triad Drywall, LCC. All rights reserved.